At sewingmachines.com.au, we have been in operation for four years but have been servicing the sewing machine industry for 58 years. We take pride in offering exceptional customer service, expertise and a high-quality product range. We stock premium brands at the most competitive prices on the market and are a proud seller of the number one sewing machine brand in Australia, Janome. As one of the most trusted brands in the sewing industry, Janome strives to bring the latest technology and innovation to users. At sewingmachines.com.au, we stock a wide range of Janome’s sophisticated, state-of-the-art sewing machines and overlockers to suit novices through to more experienced seamstresses and tailors. Janome sewing machines are known for their ease-of-use and unsurpassed stitch quality. Janome’s range of domestic machines includes sewing machines, overlockers, quilting machines and embroidery machines and accessories to complement their range of machines. The Janome range has a sewing solution for all skill levels. 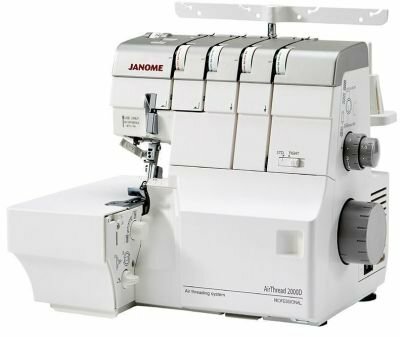 Whether you've been searching for the perfect Janome overlocker Australia wide or you are in need of a Janome quilting machine, at sewingmachines.com.au we will find the right machine to suit your sewing needs, skill level and budget. New to sewing or want to brush up on your sewing skills? Whether you’re a beginner or a more experienced sewist, we offer informative classes to help you get the most out of your sewing machine. We teach basic sewing and overlocking skills and general maintenance of your machine. We even offer advanced classes for the more experienced sewists. Call us for the current schedule of classes or to arrange a place in one of our classes. Does your Janome sewing machine need a service or repair? At sewingmachines.com.au, we not only sell sewing machines but we also provide an excellent repair service. Our skilled technicians are experienced in the service and repair of all brands of sewing machines, overlockers and ironing presses. If you can’t drop your machine off to us, call us on 1300 137 041 and we can arrange to pick it up from you. We have a wide range of Janome machines for sale, as well as accessories at the best prices here at sewingmachines.com.au. Our experienced staff will be able to help you choose the perfect Janome machine to suit your needs. To view the range, visit our store in High Street Road, Glen Waverley or browse our collection online. Free shipping applies for all orders shipped within Australia.